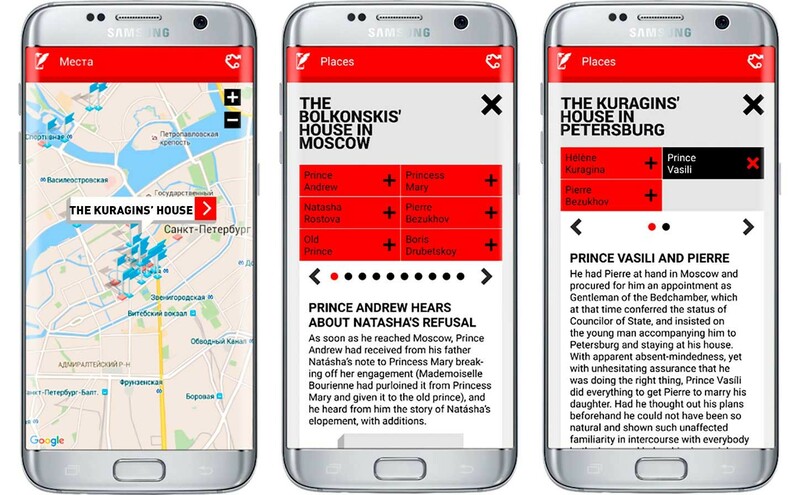 Leo Tolstoy's famous novel is an epic story with its own world, and now you can explore its geography, plots and characters with a new English-language app. 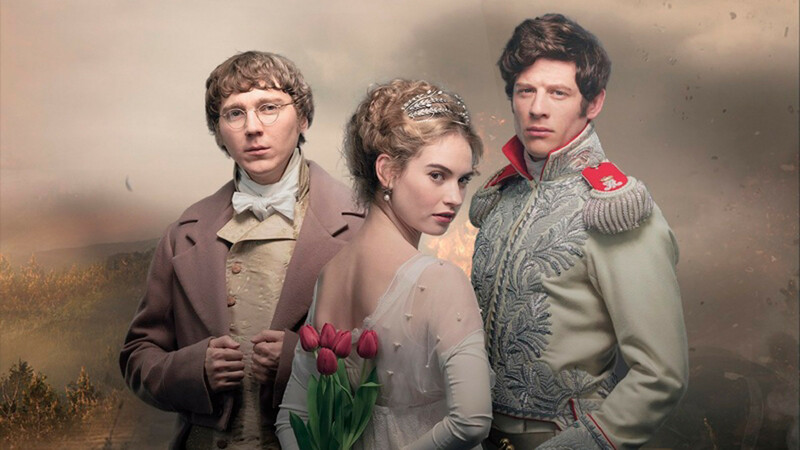 Sophisticated readers, or those who simply don’t like longreads, can finally have a deeper engagement with the behemoth of Russian literature – War and Peace. 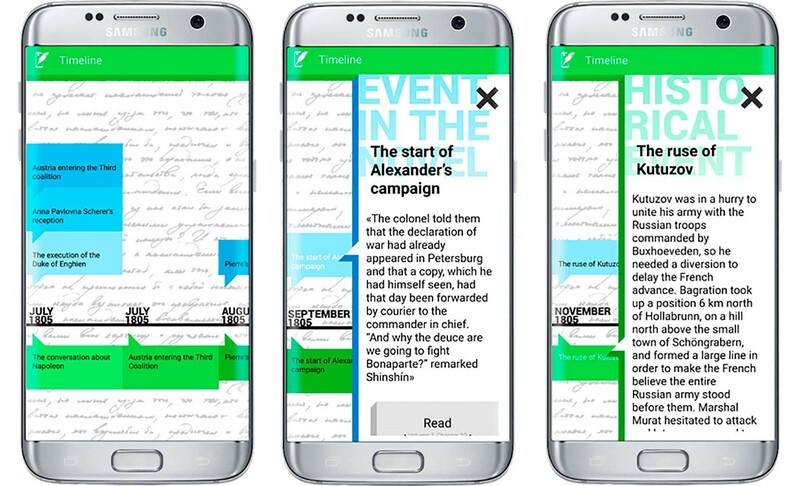 You can journey through Leo Tolstoy's novel in English with the Android app, Live pages, developed by experts at Tolstoy Digital Group, Russia’s Higher School of Economics, and Samsung Electronics. Available on Google Play store and Galaxy Apps. 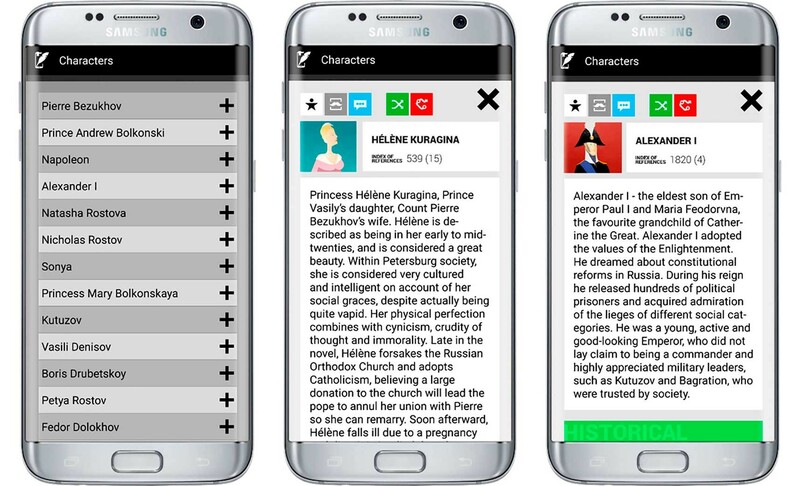 In addition to the English text of War and Peace, the app has a list of classic novels in Russian that are available for interactive reading. Let's take a look at what exactly the mobile app adds to the reader experience? This function will be useful for foreigners who have no idea where events in the book take place. Developers have put all the novel’s fictional and real locations on one map. Clicking on any location reveals texts describing it, as well as a relevant list of characters. The map covers all of Russia and several European cities. The novel is set in 1805—1812, during the French invasion of Russia. A reader sees both the timeline of the fictional story’s events, and can compare them with actual historical facts. 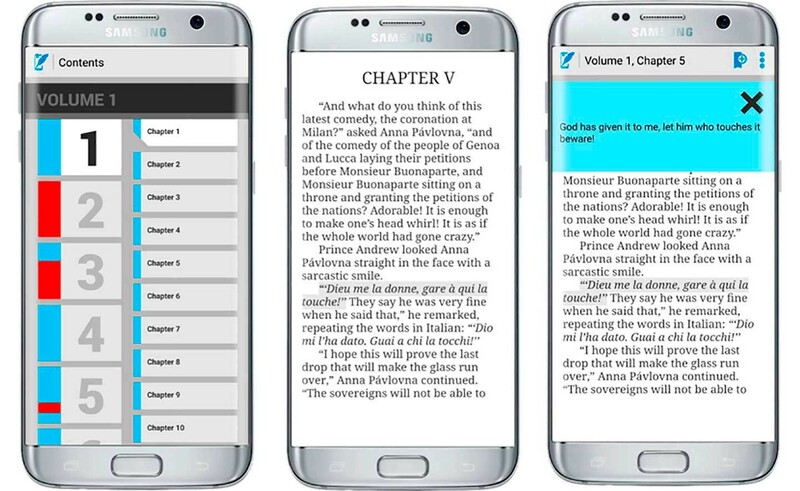 A built-in calendar, complete with quotes from the novel, juxtaposes the chronology of the historical events and the novel’s storyline. You can even set push notifications so that the app tells you what happened on a given day, both in fiction and in real life. War and Peacecomprises four volumes with a seemingly endless array of events and characters; so, following them can be tricky. However, it's possible to keep track of characters by outlining each individual’s storyline and their relationships with others. 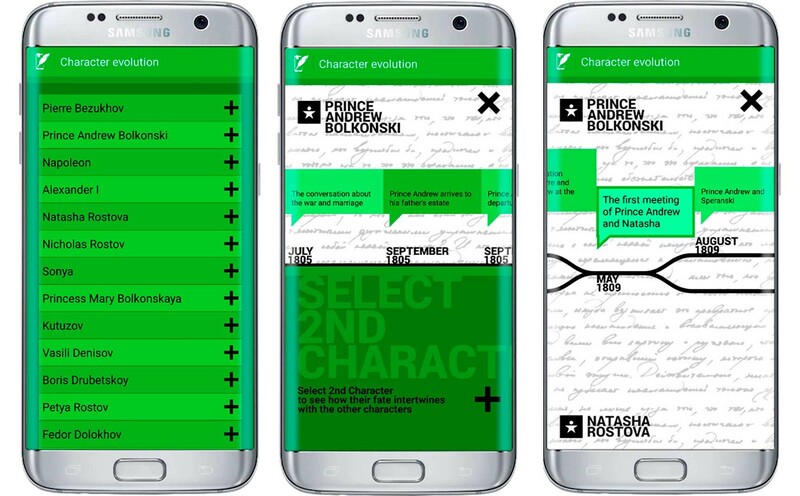 The app includes a profile page for each main character, including a picture and their most famous quotes. These are clickable, and can be found throughout the text of the novel. It’s as if each protagonist has a Facebook page. 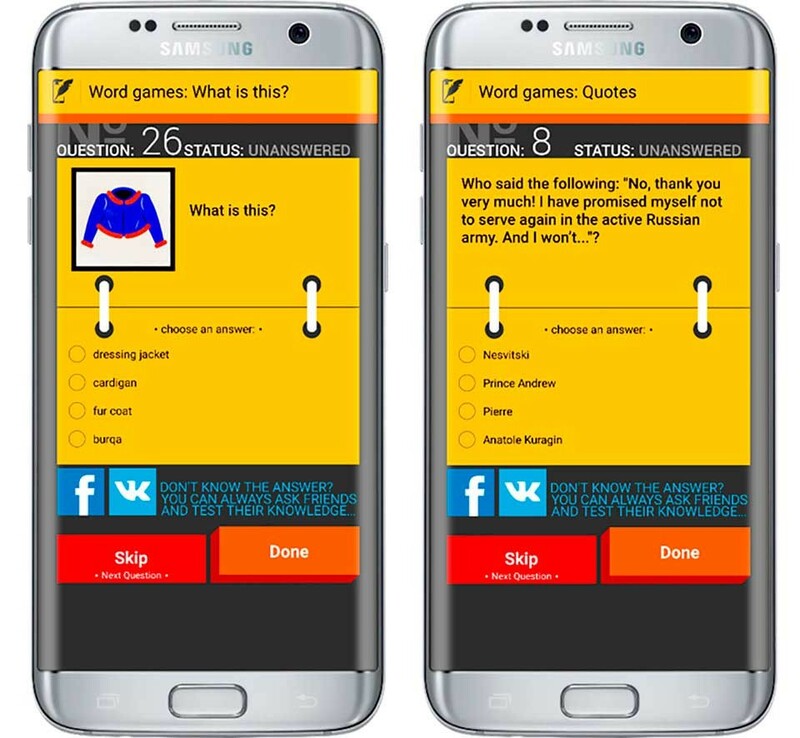 App users are able to test their knowledge of antiquated words, the novel’s plot and Russian history by taking various quizzes. Are you still wondering what to read in Russian literature? Take our test and find out which novel suits you best.